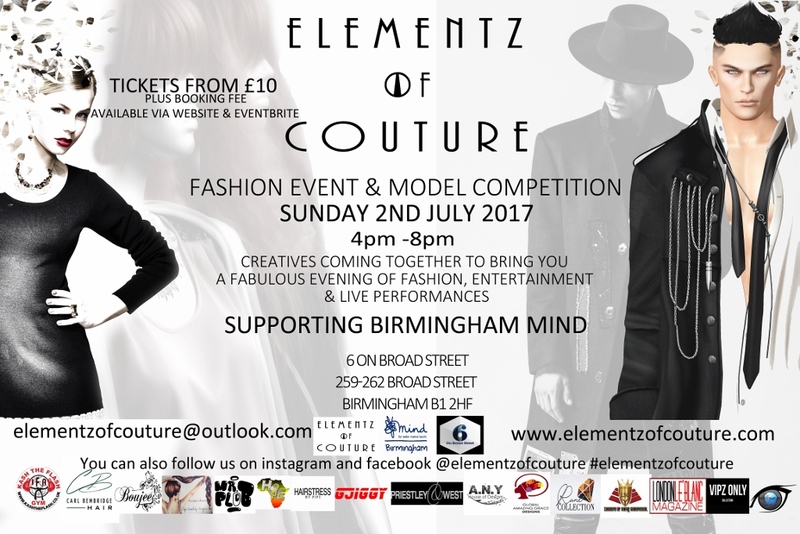 Elementz of Couture has been set up in Birmingham to seek and promote aspiring and experienced models, designers, makeup artists and hair stylists, dancers. This is an opportunity for all types of creative minds to come together to showcase their talents and skills at a fashion event whilst gaining contacts and fashion industry experience. The Fashion Show & Model Competition will be held in Birmingham, UK in July 2017. This unique and diverse fashion event is not one to be missed! 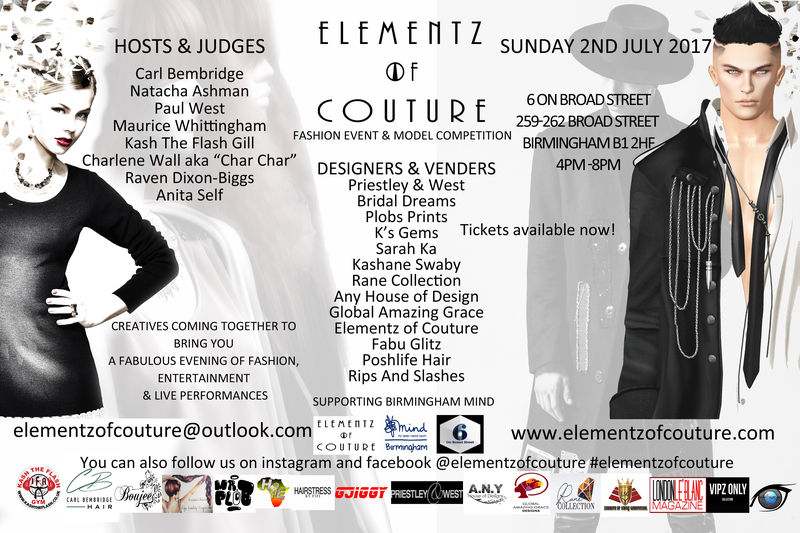 Elementz of Couture are supporting Birmingham Mind. You can donate directly to the charity. Birmingham Mind supports individuals with mental health, offering quality recovery based services. There will also be an opportunity for you to donate on the night of the show and enter a raffle, all proceeds from this will be donated to Birmingham Mind also.